Around 100,000 people protested peacefully on Saturday evening in front of the government building, in the second day of an anti-government rally. 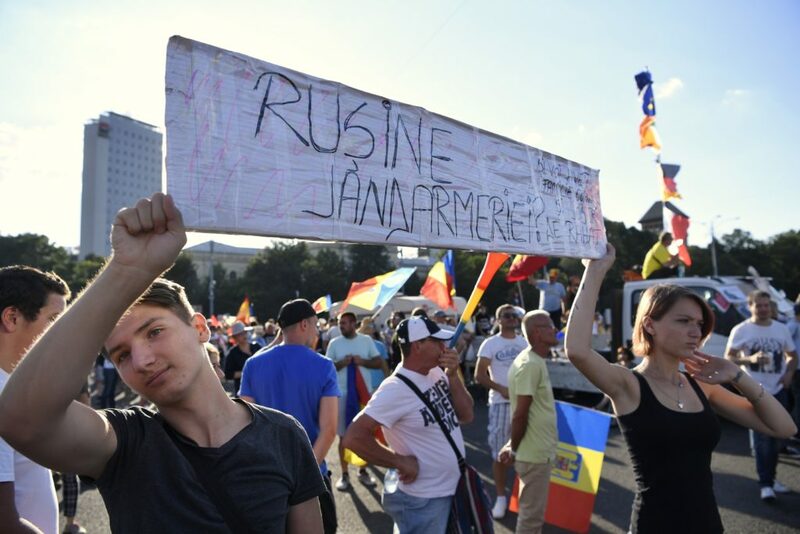 In Bucharest, shouted “Resignation, resignation!”, “Thieves, thieves!”, “Be afraid, people are rising!”. 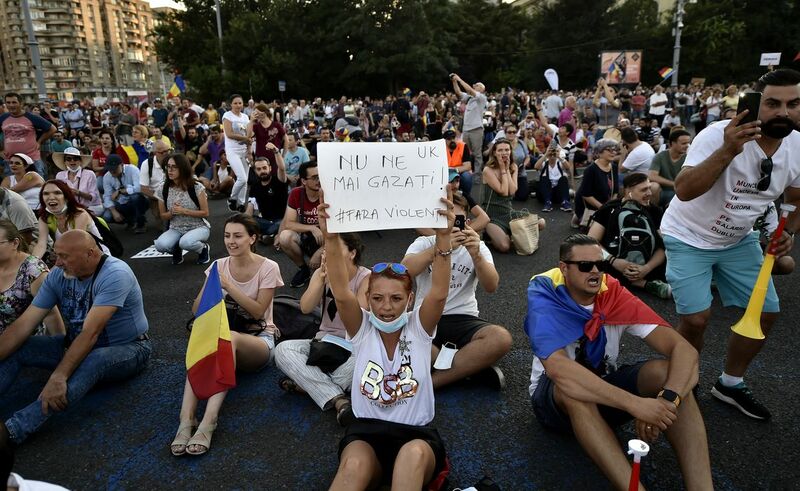 Another protest also took place in Cluj Napoca counting 3,000 participants and a similar figure was recorded at a rallies in Iasi and Timisoara. Some 7,000 people were protesting in Sibiu. Several thousands are also protesting in Brasov, Constanta, Galati, Piatra Neamt and Oradea. 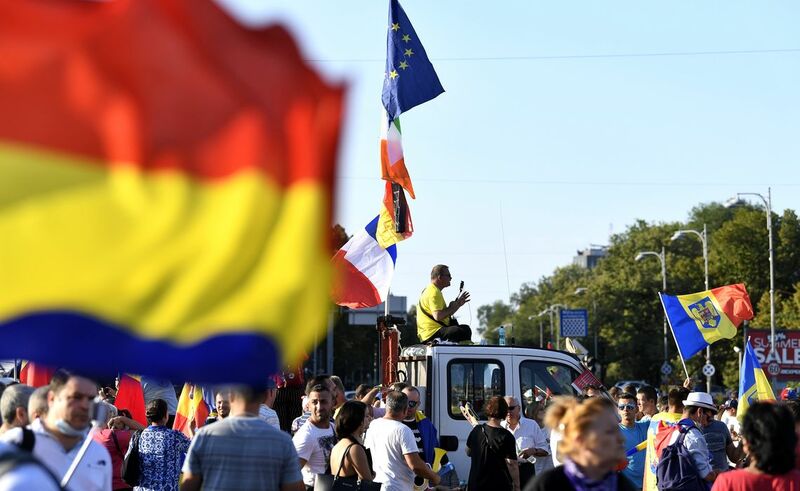 The protesters were carrying the flag of Romania alongside the flags of the EU and the US. Last night, around 100,000 people came in Victoriei Square and called for the resignation of the center left government led by Viorica Dancila. Romanians from Diaspora were also among the protesters. This was set to be the biggest rally of Romanians from abroad. 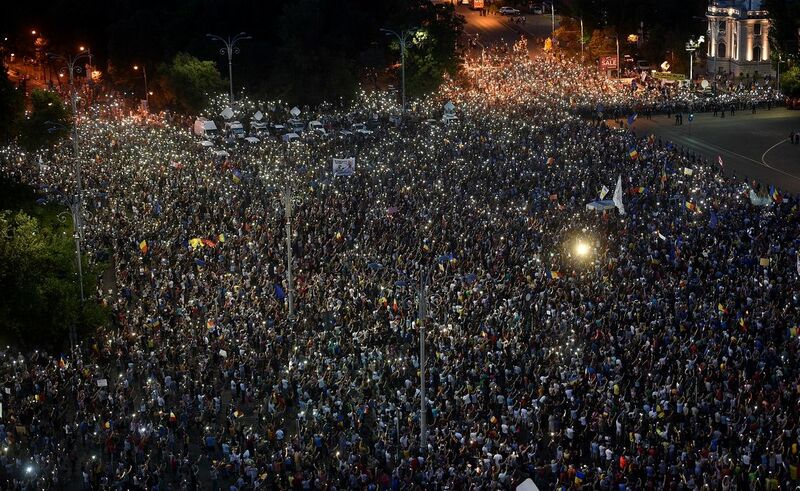 More than 20,000 people also took to the streets in other large cities in Romania. In Bucharest, violent clashes occurred between gendarmes and protesters, especially after authorities issued an order for the clearance of Victoriei Square after 11 PM. More than 400 people received medical care during Friday’s protest. Several gendarmes were also injured. The violent clashes were condemned by politicians from the ruling coalition and the opposition. President Klaus Iohannis has also asked the government to explain last night’s brutal intervention of security forces. 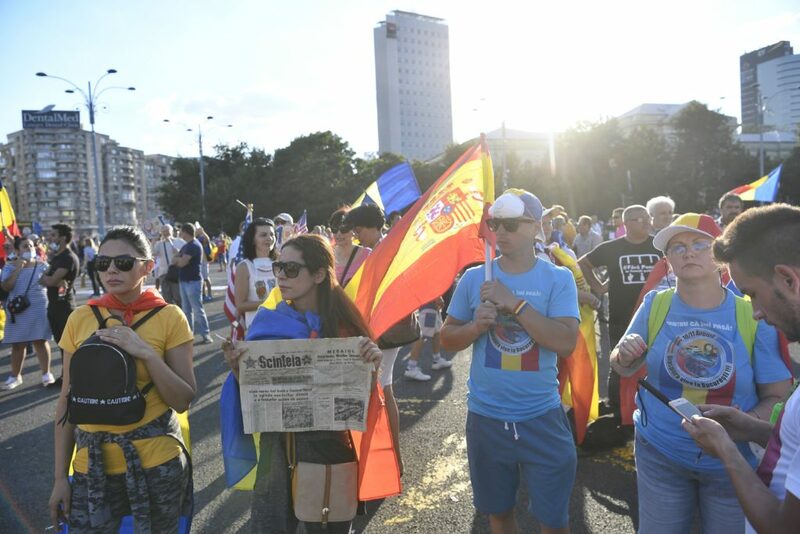 Meanwhile, 20 civic organizations said in a letter that protests will continue in Victoriei Square against “the violence and the breach of democracy and rule of law. The organizations also call for the resignation of the Dancila government. The associations also want a full investigation into the intervention of the gendarmes on Friday evening. Geeks for Democracy and Initiativa Romania are among the organizations that signed the letter.